In the mystical garden of life we are all one. Based on this principle of oneness, all the love and caring you give to yourself do not only nourish your life but also the life of all organisms on the planet. There are countless ways you can show love and kindness toward yourself and others. From personal experience and having over 20 years of training, experience, and research in the field of mental health, I have learned about simple practices which can nurture our mind, body, and soul. I am going to list some of them, each with a very brief description hoping to inspire my readers to use them. For start I encourage you to be conscious of your breathing. 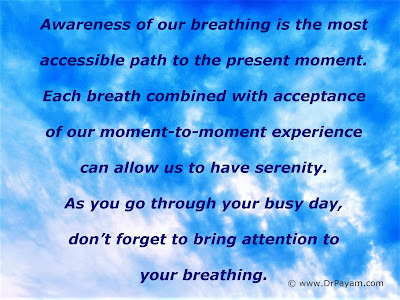 I cannot over emphasize the importance of being mindful of your breathing. Awareness of your breath is a simple practice that helps you to feel more connected to life. It can help you be in the moment and develop a deeper relationship with yourself. As you go through your busy day, don’t forget to bring attention to your breathing. Do it as much as you can remember. I just did it as I was writing this. It’s that easy. The state of the planet can directly impact our survival. By having a lifestyle that respects and protects the life of the planet we can protect our survival and as well as other species on Earth. I found this information contained in the following web site about loving and respecting the Earth: http://www.spiritualecology.org. 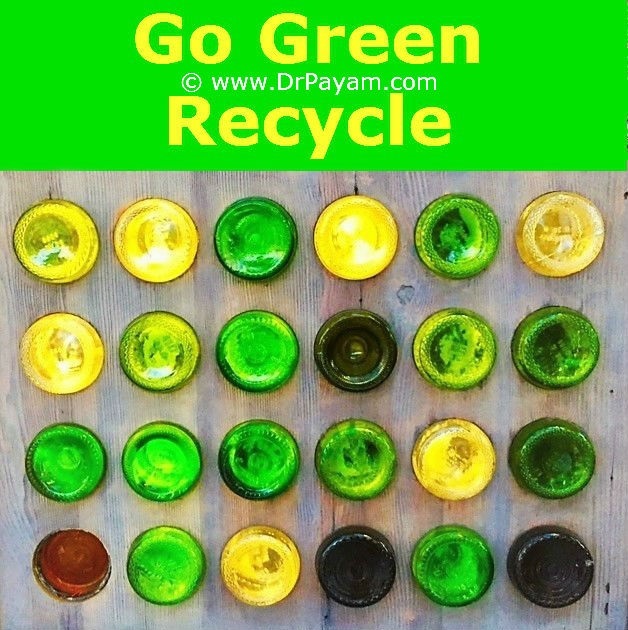 A simple way to start loving our planet is to recycle. Recycling is a good habit. You can always contact your local city hall and obtain information on recycling. Animals need our love and protection. Loving and interacting with animals can have a positive impact on your mood. If you don’t have a pet to care for, you can always volunteer at an animal shelter in your town and do what you can to improve their quality of life. You can also join organizations that advocate for animal protection and want to stop mistreatment of animals. There are many compassionate therapists who are trained in helping people to heal from emotional pain. They can also help you to cope with your life challenging circumstances. You don’t have to face all your life challenges alone and in isolation. It takes a lot of courage to reach out and seek help. Participating in counseling with a mental health professional that you feel comfortable with can add meaning and vitality to your life. A helpful way to find a psychotherapist is by asking your physician to provide you with referral. Rumi once said, “Whosoever knoweth the Power of the Dance dwelleth in God.” You can use dancing as one of your spiritual practices or just do it for the joy of it. Dancing is a good way to stay physically active and have fun at the same time. Your inner critic might try to convince you that you can’t dance and discourage you from trying. Just ignore the critical inner voice and dance. Many people suffer from choosing unhealthy eating habits and cope up with their life challenges by over eating. Such eating habits can lead to many different health problems. Talk to your nutritionist and develop a healthy eating plan that is right for your body. Eating healthy can have a positive impact on your mood and help you feel good about yourself. Psychotherapy with focus on eating disorder can help people to understand why they act differently around food and how to overcome it. In a globalized economy like ours, many consumer goods ranging from coffee to cell phones produced in developing countries are utilizing cheap labor like child workers. These workers often work long hours, in unsafe environments, and without adequate wages. Advocacy for these workers can start with our decision on where to shop. You can visit this website www.laborrights.org for more information on this important issue. Before you get into any formal exercise program, check with your physician to make sure your body can handle it. Exercise can be as simple as taking a walk most days for at least 45 minutes. Its positive impact on mind and body has been extensively researched and documented. You just need to start this good habit of exercising and see for yourself. Those of us who live in Los Angeles need to take advantage of LA’s beautiful weather and get out and exercise. Especially, people who suffer from depression need to add exercise to their schedule. If you are abusing any kind of substances (e.g. street drugs, alcohol, pot, pills) or involve in addictive behaviors (e.g. sexual compulsion, over eating, gambling) get help. After over 20 years of working in the field of mental health, I have never met a single individual who reported to me about using drugs and alcohol, or that engagement in any addictive behaviors has improved their life. In fact to the contrary, I have listened to countless of stories from my patients who reported the devastating impact of addiction on their lives. There is hope and many people have recovered from addictions. You can find treatment programs through this web site: www.findtreatment.samhsa.gov/ . You can also attend 12-step meetings to get help for addiction. It is important to have free time to simply relax with no specific goal. Just have some down time and let your mind wander. It can be a nice break to help your brain to recharge. Writing in a journal can be so helpful especially when you are dealing with stressful issues. It can help you to organize the contents of your mind and avoid keep everything inside. Just like paying attention to your breathing, this can help you develop a deeper and more intimate relationship with yourself, journaling can help you do the same. This practice can also help you to gain a better perspective about challenges and issues you are writing about. Consider buying a note book and get into the habit of writing your thoughts and feelings. I recommend doing this few times in a week as a start. I once provided counseling for someone who was able to cope with almost any life difficulties through listening to music. I always admired his willingness to use music in such a helpful way. We can all benefit from listening to music for relaxation, inspiration or other helpful purposes. I recommend avoid listening to songs with violent lyrics. Such lyrics never lead to inner peace. Don’t forget to laugh. You don’t need a reason to laugh. Just start each morning with few minutes of laughing exercise. Laughter increases oxygen supply to body cells, and strengthening your immune system. It can energize you and create positive mental state. Visit: www.laughteryoga.org for more encouragement on laughter. Anyone who had a good massage can tell you the benefit of it. Getting massage can release the tension in your body and relaxes you. Ask your local chiropractor for referral to a certified massage therapist. Decades of research on meditation has proven its overall positive impact on our mind and body. Meditation is about concentration, and it requires consistency in order to be effective. As you know there are many different kinds of meditation and I encourage you explore and find what works for you. One of the helpful meditations that I learned belongs to the Sufi path. Sufism embraces love as its focus. Deep in everyone’s heart there is a place of love and tranquility. Gently close your eyes and silently embrace that sacred place in your heart. Each time you notice any of your thoughts during this meditation you can merge them with the love you feel in your heart. Embracing love in your heart can ignite a powerful flame of love. That energy of love can be directed toward the soul of the world and be shared for the good of all. In the 1960s, Thich Nhat Hanh brought mindfulness to the attention of Westerners. Variety of mindfulness practices exist today and much of it was inspired by teachings from the East. For the most part, mindfulness involves bringing our complete attention to our present experience on a moment-to-moment basis with acceptance and compassion. With mindfulness we can observe our physical, emotional, and mental experiences with kindness. We pay attention to whatever is happening in the moment and we can use our sensory awareness to stay fully present. For example, when we wash the dishes we can see and feel the soapy water on our hands. Taking a walk and noticing without judgment how life unfolds around us is another simple mindfulness practice. My understanding of mindfulness is based on attending several classes at UCLA Mindfulness Awareness Research Center ( www.marc.ucla.edu ), studying literature, and many years of doing mindfulness practices. I highly recommend practicing mindfulness. Playing is not just for children. Adults need to play too. When I play soccer I let that little boy in me to come out and have fun. It feels liberating to detach from the serious adult role and play. I also find it helpful to have hobbies and immerse myself in those hobbies. Start a hobby and see how it impacts your mood. An effective way to stay fit and reduce stress is by practicing yoga. There are many different styles of yoga and always check with your health care provider to make sure your body can handle practicing yoga. Many people have their own personal understanding of God or Higher Power. Calling on to God of your understanding and offering Him or Her your gratitude or needs can be done through praying. You don’t have to be a member of any organized religion to pray. This practice is open to everyone who wants to invite Divine intervention into their lives. Praying is useful because it can help you to rely on a power greater than yourself to meet your life challenges. We can also pray for the well being of other people and the health of our planet. If you feel helpless about any situations in your life and running out of options, then pray for clarity. Hopefully, an insight will come to you to help you to resolve the issue. A good night sleep is essential for your good health. You might want to learn about sleep hygiene which involves developing practices that are necessary to have normal, quality nighttime sleep. One of the sleep hygiene measures that I found helpful is to maintain a regular sleep and wake pattern seven days a week. Other example of good sleep hygiene include not drinking coffee close to bed time, avoid eating at least two hours before going to bed, and stay away from emotionally upsetting conversations before trying to go to sleep. Finally, let your doctor know if you have trouble with sleeping. He or she can help you to determine the cause of it. This recommendation sounds like common sense, but many people who have access to health care deny themselves from getting their annual physical examination. Self-care involves seeing your doctor regularly and discussing your health. Many medical problems can be resolved by early detection and treatment. It is also important to be proactive and share any health related concerns you might have with your physician. Be sure to ask your physician for vitamins and supplements recommendations. If you do not have physician then ask your psychotherapist for a referral. Having caring friends, socializing, and sharing life experiences with loved ones can help you avoid isolation. Nurturing people in your life can make you feel supported. Make sure to make time for your friends and let them know how much you value their friendships. Your friends or your significant other can’t read your mind so be sure to reach out let them know if you need support with anything. If you don’t have enough friends you can always strengthen your social support by participating in different activities that you like and meet new people. I once posted an article on my blog (http://drpayam1.blogspot.com/) explaining the benefits of solitude. Many of my readers gave me feedback about their positive experience with solitude. It was encouraging to know how much this practice can be helpful. Basically, all you need to do is to spend quality time with yourself by doing very little extroverted activities. Instead focus more on your inner world and bring your attention inward. Be aware of your thoughts, feelings, quality of your breath, bodily sensation, and whatever you might notice as you close your eyes and experience the present moment. Living in a fast pace city like Los Angeles you need time away from doing too much and experience some period of solitude. Balancing social engagement with solitude can help you to enjoy a balanced life. Helping others through volunteer work is a very loving act. Display act of kindness toward others can have a positive impact on your mood. I have done many years of volunteer work for different non-profit organizations and I am always grateful for given the opportunity to be a service. Volunteer work can add to our sense of humility and make the world a better place. When you wake up in the morning, write down what you dreamt about in your dream journal. Later you can come back to it and do some work with your dream. Dream work can be done formally with a help of your therapist and informally by sharing your dream with a trusted friend. Since dreams are products of our unconscious, understanding them can increase our consciousness. Expanding our consciousness lead to a more gratifying and creative life. In his book, Inner Work, Robert Johnson, inspired by Carl Jung’s teaching, has described a helpful process on how to understand our dreams. Often content of our dreams might not make sense to us and that is why it is important to get help from experts. Working with your emotions requires emotional management skills. We all can experience many different feelings each day. For example, feelings such as sadness, loss, fear, and anger are among many emotions we all can experience. By learning to effectively manage these feelings you can help yourself to avoid being overwhelmed by them. One of the ways you can work with your emotions is by sharing them with an empathic listener who can support you in understanding your feelings. A caring psychotherapist who is trained and experienced in dealing with emotions can be a good help in this process. Since emotions can make a difference in your ability to connect to your life experiences, working with them can be a key to fulfillment.